Italian family of painters. All three sons of Berlinghiero Berlinghieri became painters. Besides those for the best known, Bonaventura Berlinghieri, records survive concerning Barone di Berlinghiero ( fl 1228–82), probably the oldest of the brothers, and Marco di Berlinghiero ( fl 1232–55), and a detailed document of 1266 records Bonaventura’s stepson and apprentice, Lupardo di Benincasa (d Kingdom of Sicily, before 1258), who from c. 1249 worked independently and later moved to Sardinia. Barone is already mentioned in 1228, together with Berlinghiero and Bonaventura, in a list of Lucchese citizens. 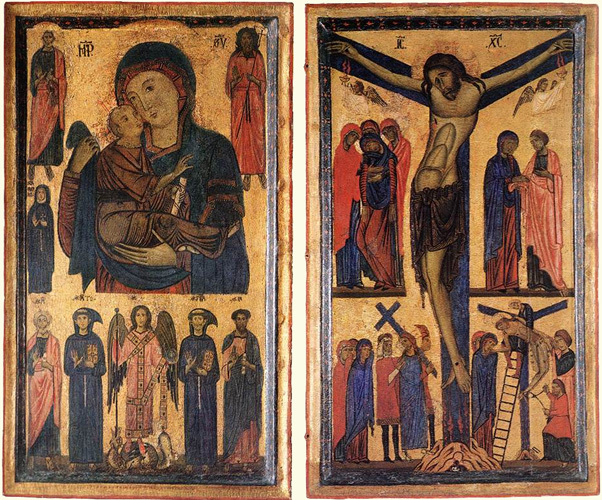 In 1243 he painted a panel for the Archdeacon of Lucca, by 1256 he had delivered a painted Crucifix to the parish church of Casabasciana, near Lucca, and in 1282 he undertook to paint a Crucifix, a Virgin and a St Andrew for the prior of S Andrea, Lucca. 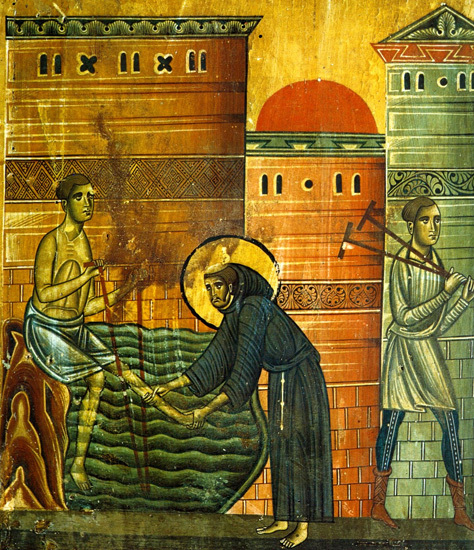 More is known of Marco, from records in Lucca from the 1230s. Probably the youngest of the brothers since he is not mentioned in the document of 1228, according to Garrison (1957) he is the ‘Marcus Pictor’ who in 1240 decorated a Sacramentary (London, BL, Egerton MS. 3036) for the monastery at Camaldoli, near Arezzo. Two documents of 1250 concern the decoration of a Bible (Lucca, Bib. Capitolare, MS. 1) for Alamanno, rector of the hospital of S Martino at Lucca. Marco has also been identified with the ‘Marcus pictor de Luca’ who in 1255 was paid for a painting (untraced) in the chapel of the Palazzo del Podestà in Bologna, and he is ascribed a fresco representing the Massacre of the Innocents (Bologna, S Sepolcro). These works reveal an artist closer to Bonaventura than to Berlinghiero. Son of Berlinghiero Berlinghieri. His presence at Lucca from 1232 to 1274 is confirmed by a long series of documents, of which one (1244) records that he undertook the entire decoration (untraced) of the deceased Archdeacon’s room. It was to include bird and other ornamental motifs, according to the wishes of Lombardo, master of works at Lucca Cathedral. Italian painter from Lucca, Italy, known for his poignant and detailed scenes from the life of St. Francis on the predella (base of the altarpiece) of the Church of San Francesco at Pescia. Bonaventura was the son of the painter Berlinghiero of the Berlinghieri family of Lombardian painters. 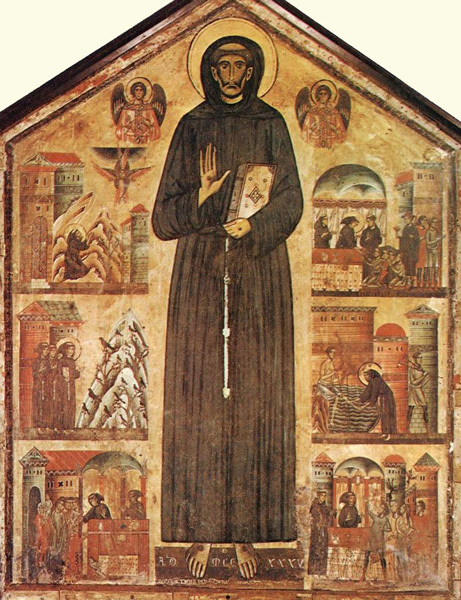 The Pescia work is one of the earliest known pictorial narratives of the saint of Assisi. 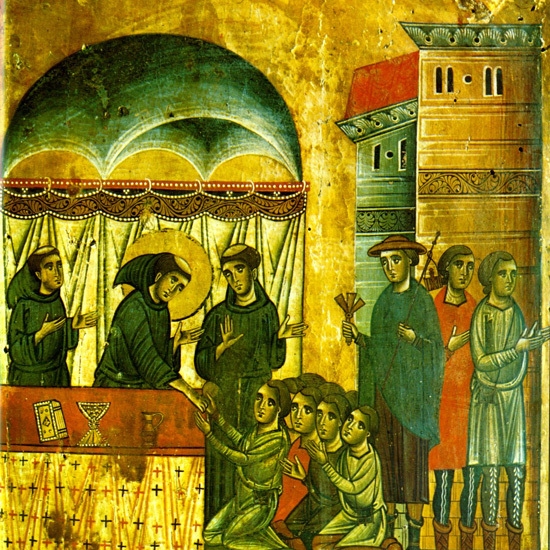 Consisting of a central panel and subsidiary scenes, it shows evidence of Byzantine influence. Another work of rare charm is his “St. Francis Receiving the Stigmata,” to be found in the Academy at Florence. 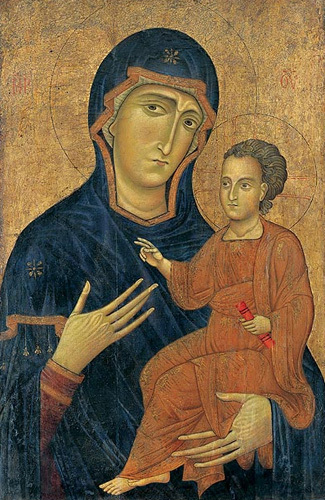 Other works attributed to Bonaventura are not well documented.